On 6 January, a suicide bomber blew up an explosives-packed car at a police station in Dagestan’s capital Makhachkala. Seven militia officers were killed, 16 were wounded. After the explosion president D.Medvedev asked to strengthen security measures in Dagestan; however it is difficult to imagine what could Russia do in the region which has been rapidly escaping from Moscow‘s control. 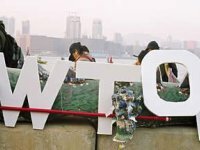 Although Russia has been knocking on the World Trade Organization (WTO) door for 16 years, so far its efforts were unsuccessful. During the meeting in Almaty on September 25, the EurAsEC Integration Committee of the European Economic Community announced the end of elaboration of the uniform customs duties for the Community‘s Customs Union (CU). The Russian president D.Medvedev submitted to the State Duma the draft Law stipulating more reasons to start war beyond the country’s borders, and not requiring the consent of the Federation Council (FC). The Russian President D.Medvedev established a special commission to counteract against „attempts to falsify history that undermine the interests of Russia“. The commission would consist of 28 representatives from President‘s Administration, Duma, FSB, Security Council, General Headquarters, the ministries of Justice, Foreign Affairs, Education and Culture and other state institutions. 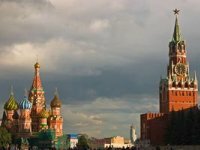 Over the past few years various forms of nationalism have become aspects of everyday Russian political and social life. Among others, ultra-nationalist theoretician Alexander Dugin, a marginal conspiracy theorist in the 1990s, has since then become a respected commentator and writer on contemporary world affairs in general, and Russia’s foreign policy in particular. Russia‘s new place in the future political global structures?! 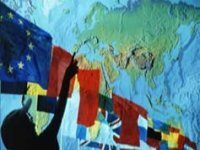 The current economic crisis might become stipulate the emergence of a new global structure. In this context the question arises: is the current crisis artificial (provoked by the global interest groups) or spontaneous (caused by the careless policy of the United States)? The author of the article has chosen the latter option. The global financial crisis affected Russia, including the flight of capital from the country after the war in Georgia, and possible budget deficit because of lowered oil prices. But some Russians were rejoicing over the crisis. In order to understand that it is necessary to recall certain past events. The Name of Russia is Joseph Stalin?! 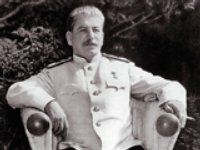 At the end of the last year Joseph Stalin was voted Russia’s third most popular historical figure in the "Name of Russia" contest run by Rossiya state television channel. Life of the opposition in Russia is unenviable. The current authoritarian Russia referring to itself as „a sovereign democracy“, executes a triple policy regarding the democratic opposition. First of all, by taking advantage of the national TV, the Russian authorities constantly blackmail the opposition for its „anti-state“ and „anti-Russian“ activities. 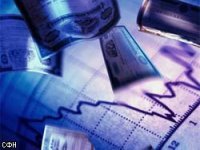 By the end of the year Russia’s minister of finance A.Kudrin said that there is no recession in the country and that economic problems will be tackled. But independent experts are skeptical towards the optimistic forecasts. In the middle of December Russia’s Central Bank has again devalued the ruble against its target dollar/euro basket, whereas commercial banks practically stopped giving loans to citizens. St. Petersburg – a new face of Russia? 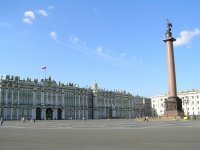 St. Petersburg is Moscow‘s competitor in the contraposition of two major and most important Russian cities. This contraposition implies a huge symbolic meaning. The Russian Trail in Turkey's Ergenekon Scandal: Who is Alexander Dugin? Turkey's current Ergenekon scandal has many peculiarities one of them being the appearance of the name of Alexander Dugin, the leader of Russia's so-called International Eurasian Movement, in connection with the conspiracy. Who is this man? 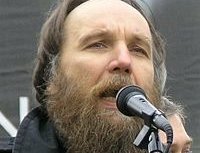 Today, Dugin is a prolific political commentator and, some say, influential pundit in Putin's new Russia. As the world watched how the Americans elected their first black president, it has been largely ignored that, across the ocean, another historic event was taking place simultaneously in Moscow. On November 5th, 2008, Dmitry Medvedev gave his first presidential address to the Federal Assembly, i.e. the two houses of Russian parliament. Will the prediction of A. Dugin come true? Aleksandr Dugin is a Russian geopolitician and a representative of the classical geopolicy school. According to this school, the fate of states is determined by their geographical determinism. It also says that contraposition of continental and marine powers, coinciding with the confrontation between the East and the West, is predetermined. The goal of each side is to restrict each other’s powers. The US House of Representatives approved a bill on establishing an inter-departmental body, the purpose of which would be to resist Russian attempts of "influencing the people and the governments" of other countries, - reported the Associated Press. "I back up": networks got surprised with the unexpected statement of the pro-Russian President Dodon about the EU. The newly elected president of Moldova Igor Dodon, known for his pro-Russian views, stated that his country is not going to refuse from the cooperation with the European Union.